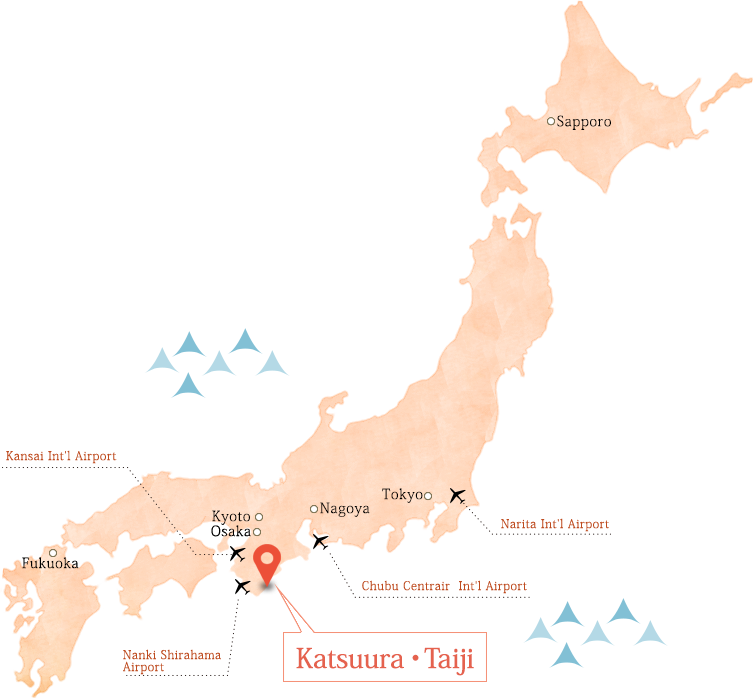 Taiji, Katsuura is a place full of attractive spots with the majestic mountains of Kumano and the sea of Katsuura. 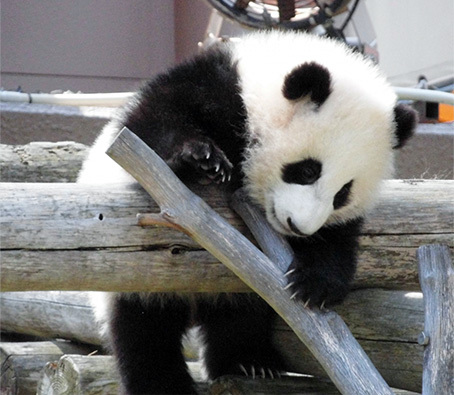 An introduction to the popular sightseeing spots. 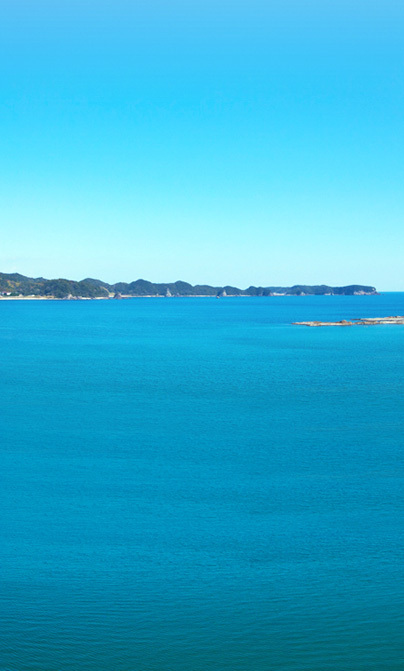 One of the major sightseeing destinations in Kinki region Welcome to the Katsuura-Taiji. 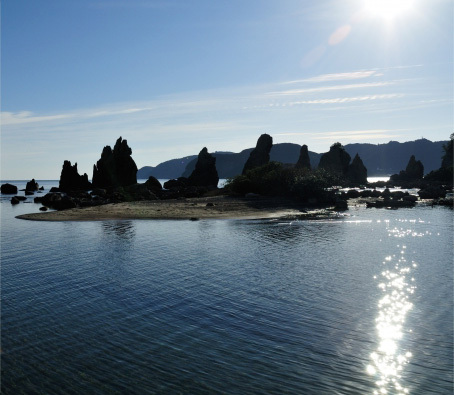 Taiji, Katsuura, with its beautiful beach and ocean surrounded by greenery where people can enjoy various activities and good access to the Kumano Kodo World Heritage Site and Ise Jingu Shrine, is an ideal lodging place for international guests who want to enjoy authentic Japan. We recommend staying here as a base for 2 or 3 nights to visit various places. 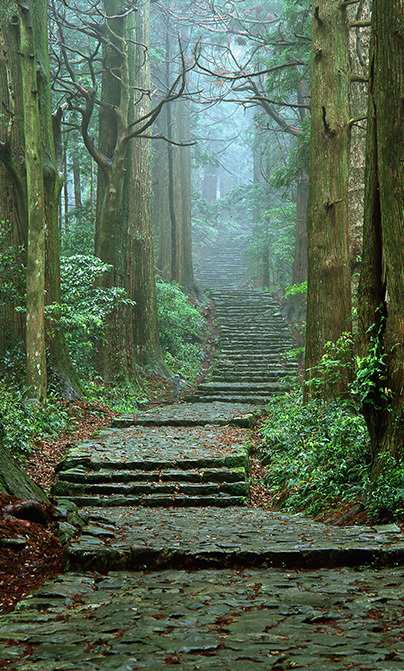 Kumano Kodo is the general name for pilgrimage routes to Kumano, which had been used since the Heian period. 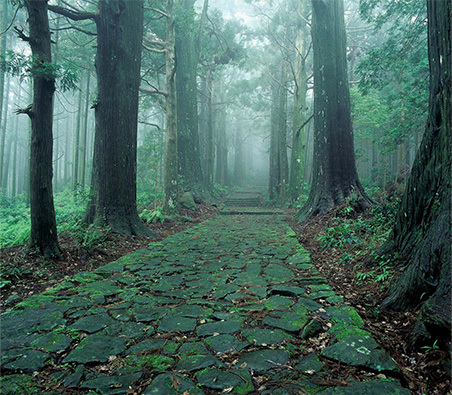 Daimon-zaka is a well known path which remains almost as it was in the olden times, though many of the routes today are disconnected. 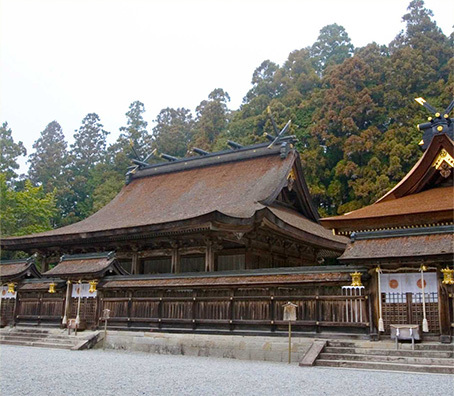 This place is a part of the Sacred Sites and Pilgrimage Routes in the Kii Mountain Range registered as a World Heritage Site in 2004. 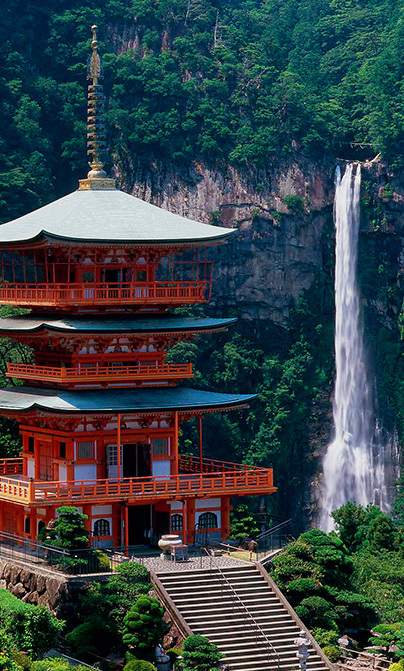 Nachi Falls boasts the highest drop in Japan from 133 meters high. 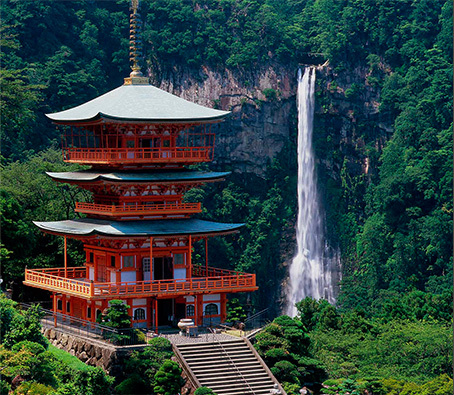 This is the dwelling place of sacred spirits of Hiro Shrine, another shrine of the Kumano Nachi Taisha, and the water of the falls is known to have the power to extend longevity. Just beside Seigantoji Temple. 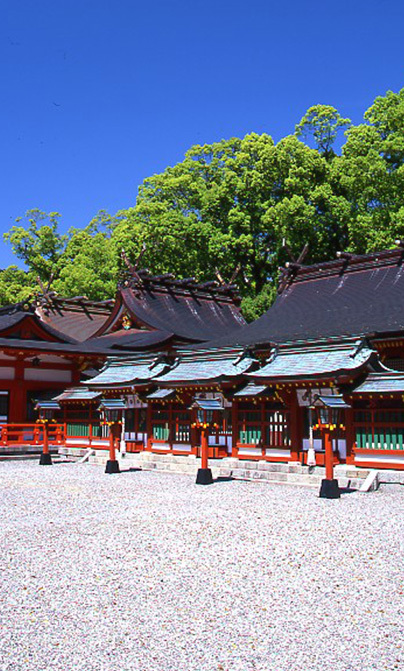 This is one of the Kumano Sanzan grand shrines along with Kumano Hayatama Taisha and Kumano Hongu Taisha. Just beside Nachi Taisha. 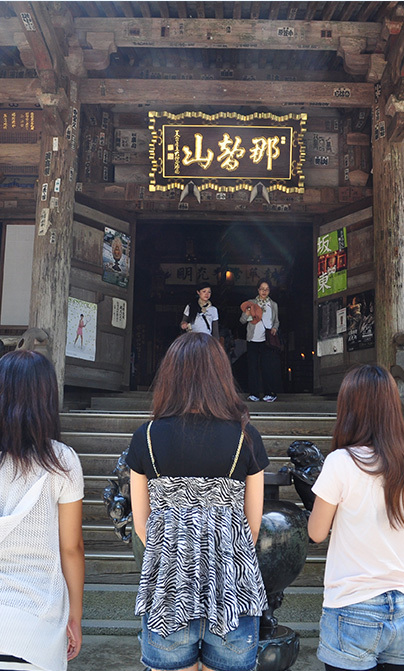 The first major stop on the Saigoku Kannon Pilgrimage of 33 temples. 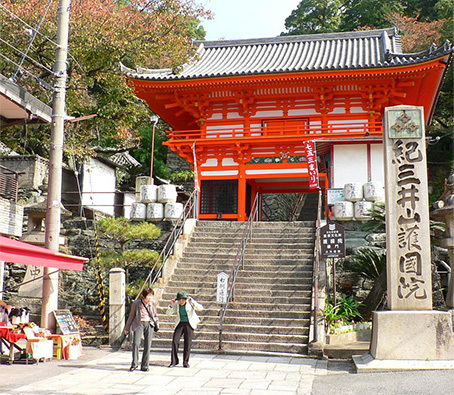 The head shrine of over 3,000 Kumano Shrines located throughout Japan. 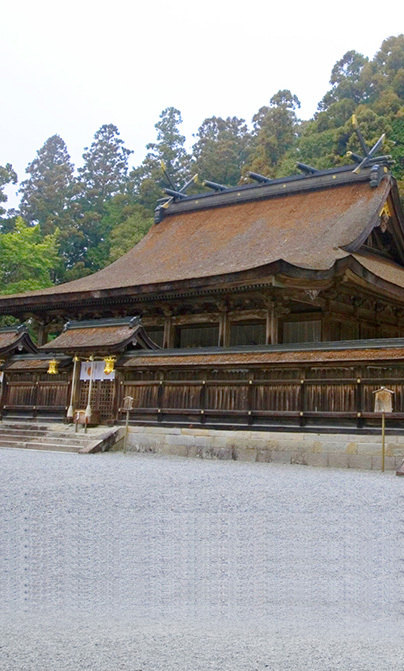 Also known as Kumano Sanjo Gongen, it is comprised of Kamiyonsha, Nakayonsha and Shimoyonsha. 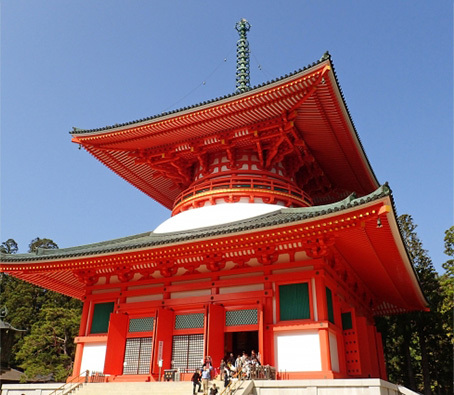 This is one of the Kumano Sanzan grand shrines along with Kumano Nachi Taisha and Kumano Hayatama Taisha. 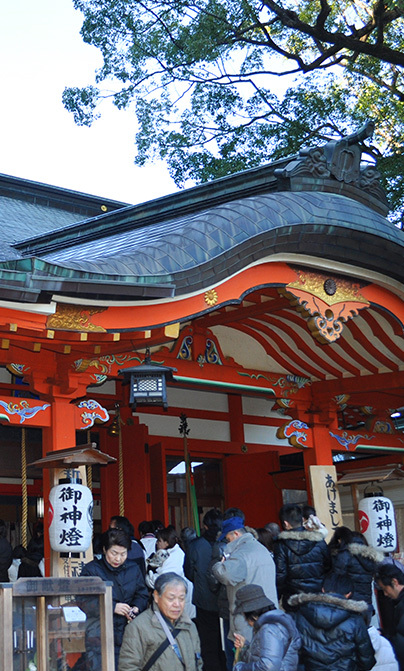 People may find this shrine easier to access than the other two, Nachi and ogu, since it is located on flat ground. 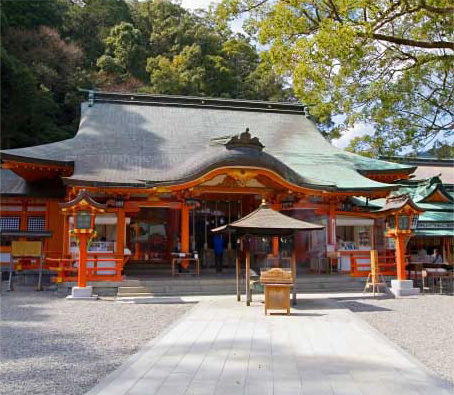 This is one of the Kumano Sanzan grand shrines along with Kumano Nachi aisha and Kumano Hongu Taisha. Just in front of Katsuura Gyoen. 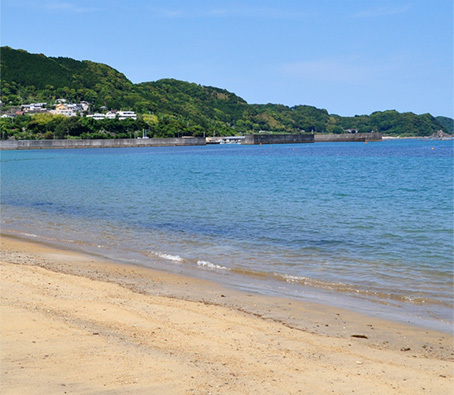 The largest beach in the prefecture which has been selected as one of the Best 100 Beaches by the Ministry of the Environment. 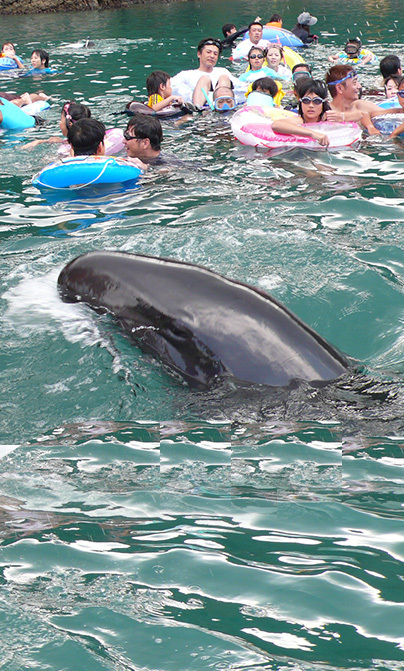 Adventure World is a theme park complex consisting of a zoo, an aquarium and an amusement park, located in Shirahama-cho, Nishimuro-gun, Wakayama. 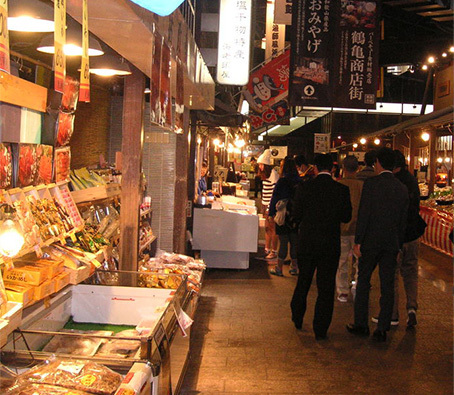 A seafood market featuring fresh produce from local ports and various places around Japan. You can enjoy the market's special raw tuna, and other fresh marine products. The symbol of Wakayama City. 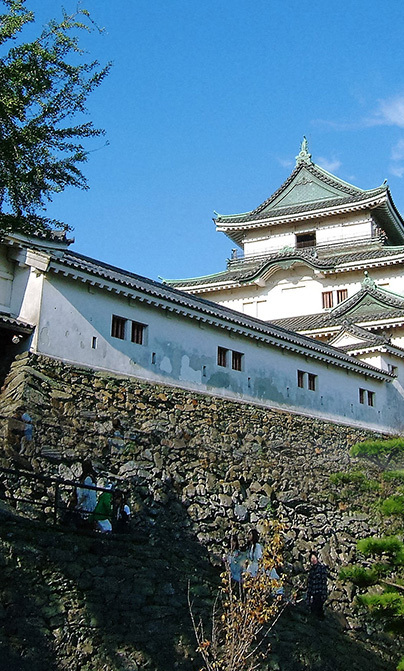 Wakayama Castle has a history of serving as the residence of one of the three branches of the Tokugawa clan. 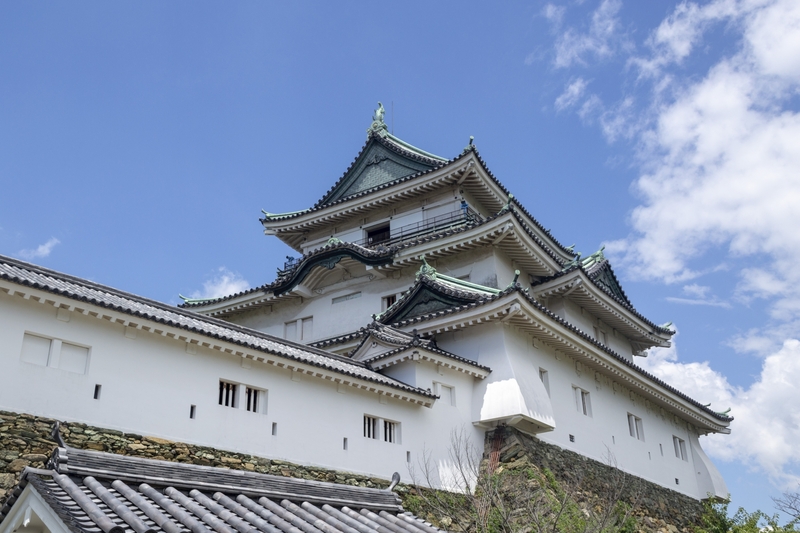 Its castle tower offers a panorama of Wakayama City. 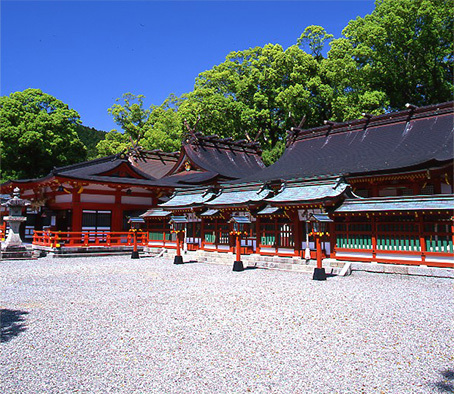 A Buddhist temple famous for its early-blooming cherry blossoms located in Kimiidera, Wakayama-shi, Wakayama. JR Kii Katsuura Sta. - JR Limited Express Kuroshio (Bound for Kyoto・Shin-Osaka/about 3hrs) - JR Wakayama sta. - Wakayama Electric Railway Kishigawa Line(Bound for Kishi / about 30mins) - Kishi sta. One of the stations on the Wakayama Electric Railway Kishigawa Line. The station number is 14. 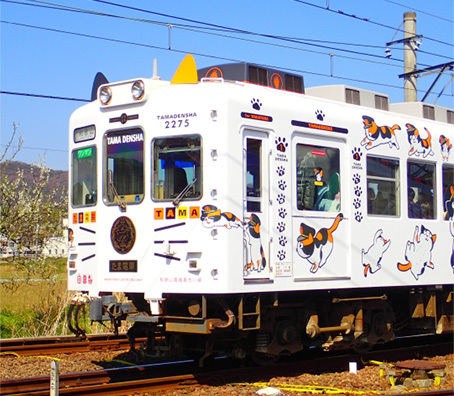 Tama, a cat raised in the shop at this station, became a sensation when she was officially appointed as the stationmaster. Sadly, she passed away in 2015. She was enshrined in "Tama Shrine" which was built inside Kishigawa Station. Tama has been succeeded by Nitama who is known as "Tama the 2nd Stationmaster". The sacred Mt. Koya soaring up in to the sky welcomes visitors from beyond the deep green mountains. In 2004, this place was registered as a UNESCO World Heritage Site. A mysterious group of rocks seen along Route 42. A straight line of as many as 40 large and small rocks which stretches for around 850 meters from south to west. 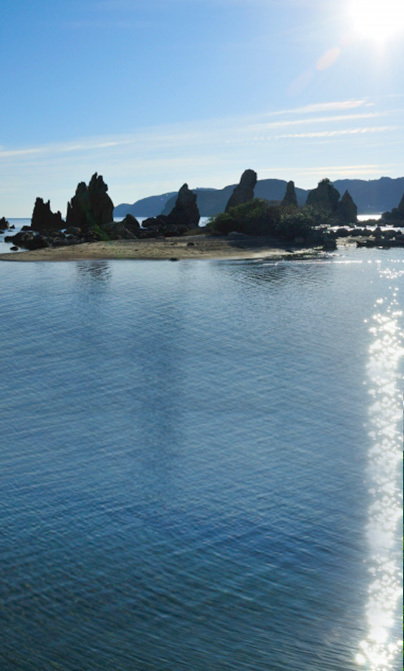 They are called the Hashigui-iwa Rocks because they look like the pillars of a bridge. A museum established by the coastal whaling town of Taiji. 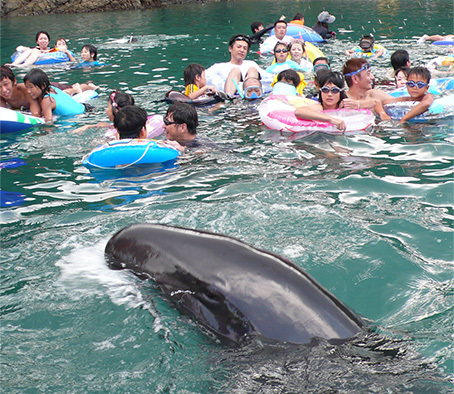 The museum offers black whale and dolphin shows and exhibits archives on whaling. 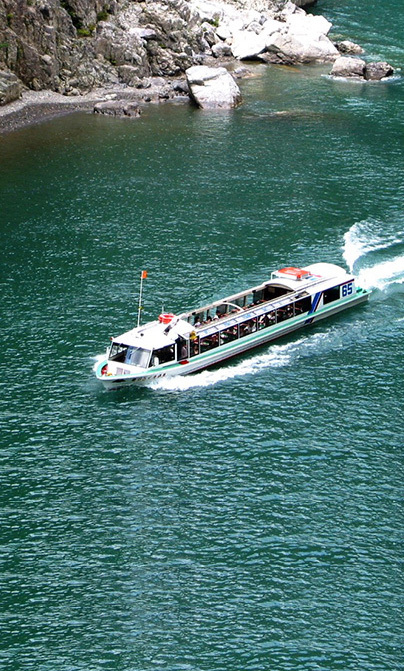 A bus and jet boat combination ticket is sold at JR Kii Katsuura Sta. 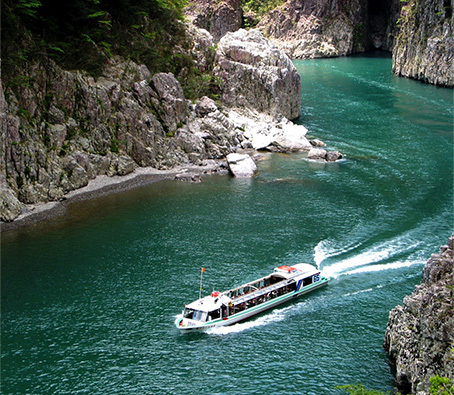 A jet boat tour that sails around Dorokyo Gorge which offers the most magnificent views within Yoshino-Kumano National Park. The boat sails along the large gorge, also known as Dorohaccho, which stretches up to 31 kilometers through beautiful natural landscapes, at about 40 kilometers per hour. 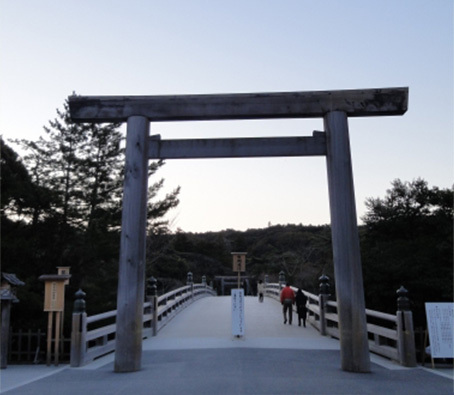 Ise Jingu Shrine, affectionately called "Oise-san". 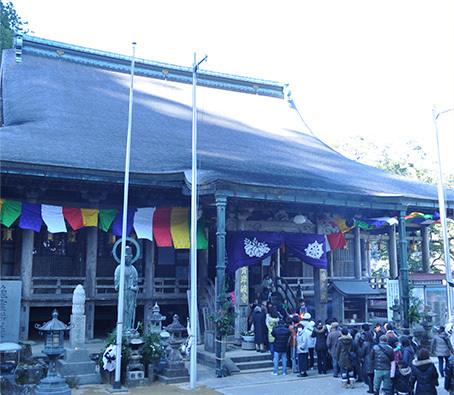 This shrine, comprised of 125 shrines including Naiku and Geku with their 2,000 years of history, is the spiritual home of the Japanese people. Back to "Other sightseeing spots"
and one accommodation in the Ise area.